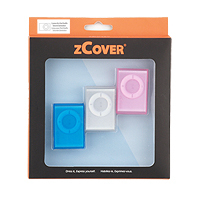 zCover Inc, the leading manufacturer of fashionable silicone protective cases, has announced today the release of their iSA Shuffle2 Case for new iPod Shuffle (second generation) zCover iSA Shuffle2 and started shipping. iSA shuffle2 for the new iPod shuffle 2nd Generation ready for shipping on October 18, 2006. Â· Started shipping iSA micro case on Sept 21, 2005, 14 days after iPod nano released by Apple on September 7, 2005. 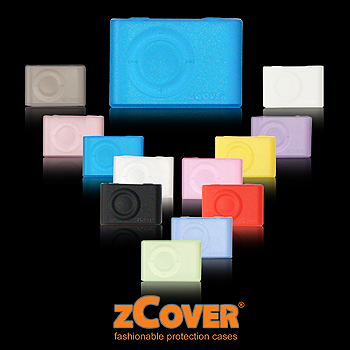 In its first release of the iSA Shuffle2 , zCover is offering a selection of 10 colors to the online consumers. zCover iSA Shuffle2 offers one size to fit new iPod Shuffle 1GB. In this first release of iSA Shuffle2 zCover offers you a choice of 10 bright colors: Blue, Pink, Green, Purple, Red, Yellow, Ice Clear, Grey, Black and White-Glow-in-Dark.